After days of torrential rainfall and devastating flooding in the central US, forecasters said Thursday that record-breaking floods will likely continue or worsen to potentially historic levels over the next several months in much of the US. 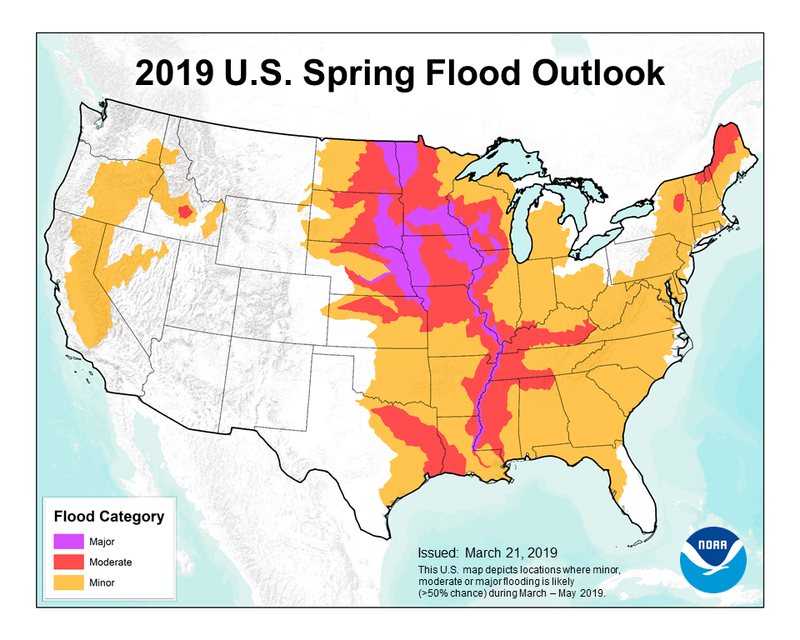 While torrential rans, snow melt, and ice jams have already caused historic flooding in the Plains, the National Oceanic and Atmospheric Administration said heavy rain this spring will make conditions even worse in most states. Major or moderate flooding is expected in 25 states through May — which could mean the worst flood season the US has ever seen. “This is shaping up to be a potentially unprecedented flood season, with more than 200 million people at risk for flooding in their communities,” Ed Clark, director of the NOAA National Water Center, told reporters. 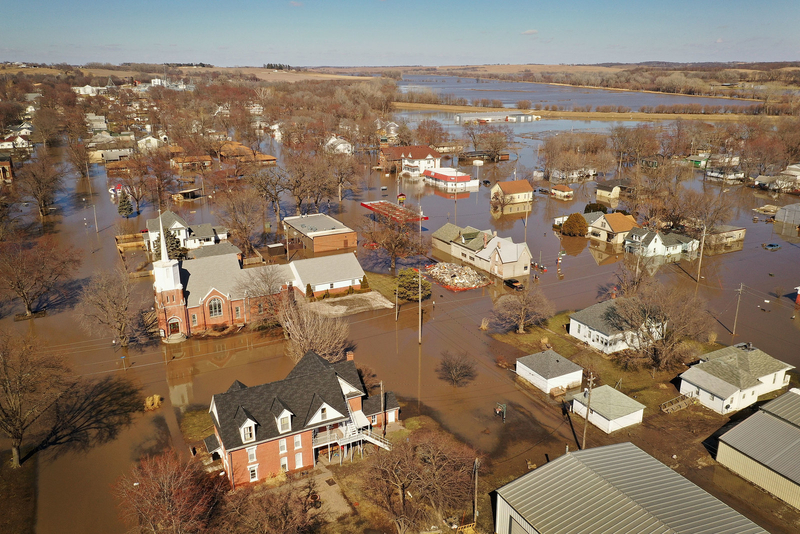 Flooding has so far been worst in the upper Mississippi and Missouri river basins; the upper Mississippi basin received double the typical amount of rain and snow this year. At least three people were killed in Nebraska and Iowa last week as flooded rivers overwhelmed farmland, roads, and homes. As water moves downstream, the threat of flood will become worse across a larger area, forecasters said. “The flooding this year could be worse than anything we’ve seen in recent years, even worse than the historic floods of 1993 and 2011,” Mary Erickson, deputy director of the National Weather Service, said in a conference call with reporters, calling the current flooding a “preview” of whats to come this spring. Flood risk is determined by looking at snowpack and drought conditions, soil moisture, and frost depth as well as rain. But heavy rainfall, a result of climate change, has been a particular trend in the Midwest, causing problems for farmers, damaging homes and buildings, and contaminating groundwater. Minor flooding is also forecast for parts of California and Nevada, and forecasters added that spring storms could create problems even in areas with a low overall flood risk. Federal Emergency Management Agency deputy administrator Daniel Kaniewski stressed the importance of flood insurance. FEMA and the National Flood Insurance Program statistics show that flooding typically causes the most damage of any weather-related event, valued on average at $8 billion a year. “Severe weather and flooding can strike anywhere, whether or not you are in a high-risk area,” he told reporters. Which TV Show Has The Best First Episode?